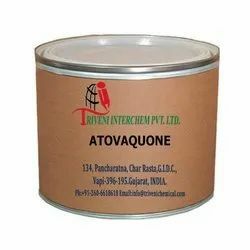 Leading Manufacturer of argatroban, atovaquone, bendamustine hydrochloride, butyl cyanoacrylate, calcipotriol and calcitriol from Vapi. 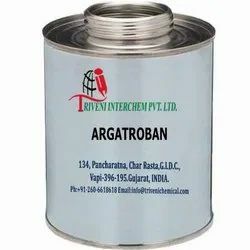 Argatroban Monohydrate 141396-28-3 is liquid. it is also known as it is use in direct thrombin inhibitors Industry. Storage: Keep container tightly closed. Keep container in a cool, well-ventilated area. Atovaquone (95233-18-4) is crystalline. It Is also available in multiple packaging. Bendamustine Hydrochloride Monohydrate 1374784-02-7 is solid. it is also known as Bendamustine Hcl. it is use in anticancer and chronic lymphocytic leukemia Industry. Storage: Keep container tightly closed. Keep container in a cool, well-ventilated area. Butyl cyanoacrylate (6606-65-1) is clear colorless liquid.It is also known as N-Butyl cyanoacrylate. Storage: Keep container tightly closed. Keep container in a cool, well-ventilated area. Waste Disposal: Waste must be disposed of in accordance with federal, state and local environmental control regulations. Calcipotriol Monohydrate (147657-22-5) is white powder. It is also available in multiple packaging. Calcitriol (32222-06-03) is solid. It is also available in multiple packaging. Camphorquinone (10373-78-1) is crystalline. It is also known as DL-Camphorquinone. Industry. Storage: Keep container tightly closed. Keep container in a cool, well-ventilated area. Waste Disposal: Waste must be disposed of in accordance with federal, state and local environmental control regulations. Candesartan Cilexetil (145040-37-5) is Crystalline powder. It is a chemical compound. Cetirizine dihydrochloride (83881-52-1) is solid. It is also known as Cetirizine dihcl, Cetirizine hydrochloride and Cetirizine hcl. it is use in antihistamine, allergic reaction, anaphylaxis and Industry. Storage: Keep container tightly closed. Keep container in a cool, well-ventilated area. Waste Disposal: Waste must be disposed of in accordance with federal, state and local environmental control regulations. 67762-27-0) is crystalline. it is also known as Cetylstearyl alcohol. Storage: Keep container tightly closed. Keep container in a cool, well-ventilated area. Chloramphenicol (56-75-7) is crystalline. It is also available in multiple packaging. Chloramphenicol palmitate (530-43-8) is solid. It is also available in multiple packaging. Chlorhexidine Base (55-56-1) is solid. Storage: Keep container tightly closed. Keep container in a cool, well-ventilated area. Chlorothiazide Sodium (7085-44-1) is solid. It Is also available in multiple packaging. Chlorpheniramine Maleate (113-92-8) is Solid. it is also known as Storage: Keep container tightly closed. Keep container in a cool, well-ventilated area. Clarithromycin taste masked granules. It is a chemical compound. It is available multi kind of packaging. Clofarabine (‎123318-82-1) is powder, solid. It is use in Oncology API and Pharmaceuticals Industry. clofarabine (‎123318-82-1) is powder, solid. it is use in Oncology API and Pharmaceuticals Industry. Storage: Keep container tightly closed. Keep container in a cool, well-ventilated area. Clopidogrel Hydrochloride (120202-65-5) is solid. It is also known as Clopidogrel Hcl. Clorsulon (60200-06-08) is solid. It is also known as 4-Amino-6-trichlorovinyl-1,3-benzenedisulfonamide. Storage: Keep container tightly closed. Keep container in a cool, well-ventilated area. Waste Disposal: Waste must be disposed of in accordance with federal, state and local environmental control regulations. Colesevelam Hydrochloride (182815-44-7) is powder. It is also known as Colesevelam hcl. Cyclophosphamide (6055-19-2) is white crystalline. It is also known as Cytoxan. It is use in Oncology API and Pharmaceuticals Industry. Dabigatran Etexilate Tosylate is white powder. It is also known as Hexyloxy)carbonyl.Dabigatran Etexilate Tosylate is white powder. It is also known as Hexyloxy)carbonyl. Noradrenaline (108341-18-0) is solid. it is also known as Dihydroxyphenyl).,, Storage: Keep container tightly closed. Keep container in a cool, well-ventilated area. Ropivacaine 84057-95-4 is powder. it is also known as it is use in anti anesthetics Industry. Storage: Keep container tightly closed. Keep container in a cool, well-ventilated area. Telmisartan (144701-48-4) is Solid. it is use in cardioprotective Industry. Storage: Keep container tightly closed. Keep container in a cool, well-ventilated area. Waste Disposal: Waste must be disposed of in accordance with federal, state and local environmental control regulations. Looking for API For Tablets ?